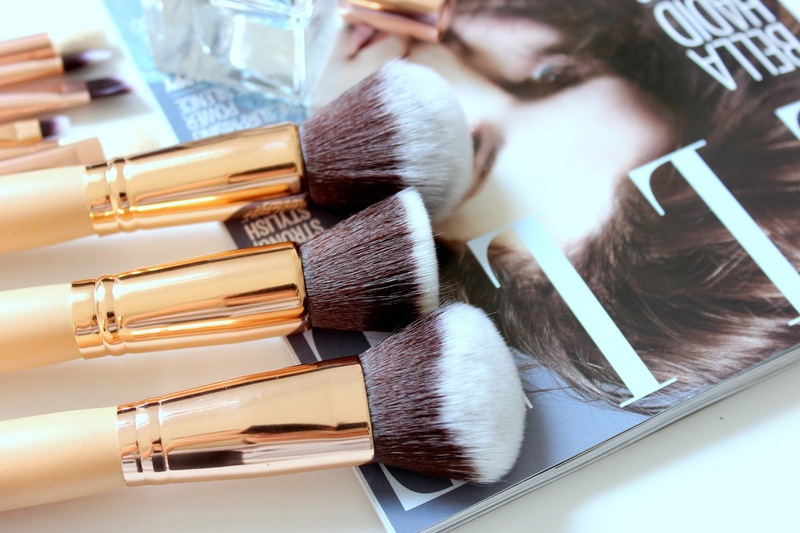 Makeup brushes are something you can never have too many of in my opinion. I'm always on the look-out for really great makeup brushes so I have lots for the different makeup looks I do. Recently, I came across these ABODY ones on eBay, yes eBay! This is an 9 piece goat hair set that comes with a pink zipper case. 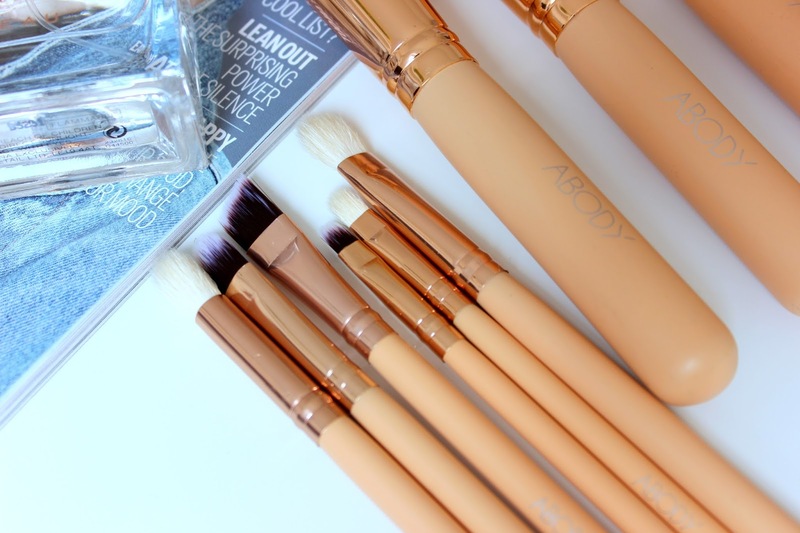 These brushes are so beautiful with the beige handles and rose gold hardware. They are also extremely soft - a lot softer than most of my other brushes. 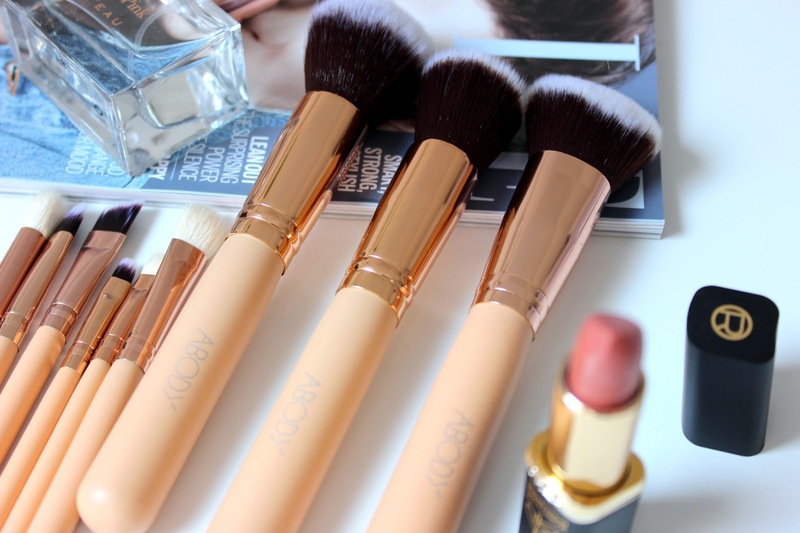 These ABODY makeup brushes remind me of the ZOEVA rose gold edition brushes which also come in with a pink case, maybe these are dupes? I am extremely impressed with the amount of brushes you get in this set and how affordable they are, £6.19. I am looking forward to doing lots of makeup looks with these so please do keep an eye out for tutorials coming up soon. You can subscribe to my YouTube channel here (it's free) and you'll get notified when I upload new beauty videos. Ooooh, love this. This is such a helpful post! I'm always scouring the internet for makeup brushes/dupes that I can legitimately afford and you've just gone and done so much better than me! Definitely gotta buy these. So happy to have helped. They are such lovely brushes and so pretty to look at! Thanks so much for stopping by my blog lovely.